hello guys, can somebody please post a translation of "Leaving you"? I can't find it anywhere! Could someone post some Kana lyrics of I Kill My Heart please? ぜつぼう　を　あげる　yeah...Who called me? ねがう　ゆめ　など　ない so fine!! Why can't I run away from here? I came back to my bad dream again again!! I can't write a lot of kanji. Omgsh Hidebow thank you so much !!! Unlimited sky - Instrumental ver?? Thanks a lot for "SPACE SHOWER TV SHOW", I can't believe my happiness) I couldn't find her concert videos anywhere. Level masteR wrote: I do have Tommy february6 J-Wave live 2001, but it is in so low quality. I just request for Tommy february6 - J-wave live 2001 concert. The download link you have posted just been unavailable. Can anyone upload that for me or show me the available link? Thanks a lot. Does anybody have MaGic in youR Eyes ～Inst. for TV～, MaGic in youR Eyes ～Inst.for TV,Piano Ver.～ from Okusama wa Majou ost? Looking for translation of Roller Coaster Ride. Does it exist? ThomasW wrote: hello guys, can somebody please post a translation of "Leaving you"? I can't find it anywhere! My mended heart still vividly remembers fleeting emotions from in between my fingers. I am making an iron cage by collecting stardusts from golden branches. In my world without you, there is no need for light of hope. As the moon melts away, it takes our memories along with it. And I slowly start to forget the way I used to be. To be honest, I wanted to stay in the comfort of your loving kindness. And in order to revisit the days again, I am overcoming the hardship. I am determined to regain the lost time in a lost world. Just saw it was requested four years ago!!! Better late than never I guess.. Does anybody has this videos in separate files? I have some of those, just gotta dig thru my collection to find them. I have The Furitsuke version of KISS One More Time and Lonely In Gorgeous. I have one of the commercials for Bloomin' but i am unsure which one it is. I downloaded a fan made dvd a few years ago that has all of the Furitsuke versions on it. 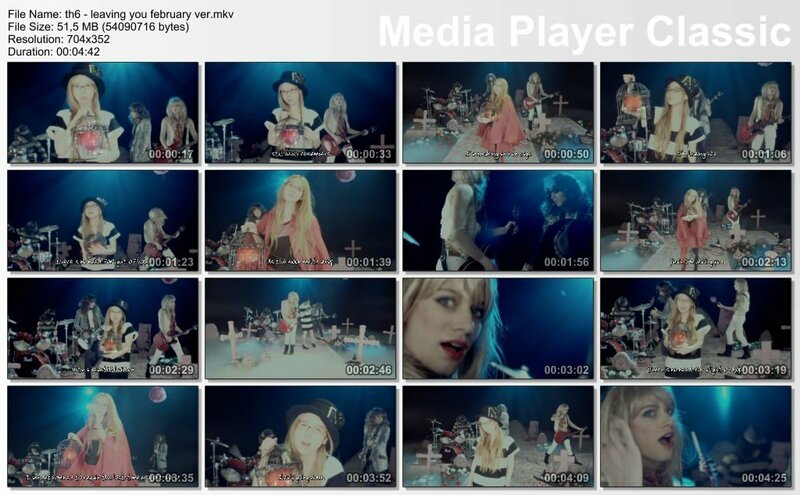 Does anyone have the FULL PVs for the feb6 and hev6 parts of Never ending party night? I know about that fan made DVD but it's very big and I want only some furitsuke videos. Hello, I'm just joining but may I ask the download link for Space Shower TV Live concert??? I can't find it anywhere. and also I only found some of Tommy heavenly6 live performance in jpopsuki. is that all?? Can somebody share the scans of HALLOWEEN ADDICTION (limited ed. ), BE MY VALENTINE and TOMMY CANDY SHOP SUGAR ME? Kokoro wrote: Can somebody share the scans of HALLOWEEN ADDICTION (limited ed. ), BE MY VALENTINE and TOMMY CANDY SHOP SUGAR ME? I need those too for my website!